张骁丽,齐欢,魏青松. 铝合金粉末选择性激光熔化成形工艺优化试验研究[J]. 应用激光, 2013, 33(04):391-397. THIJSL, KEMPENK, KRUTHJ P, et al. 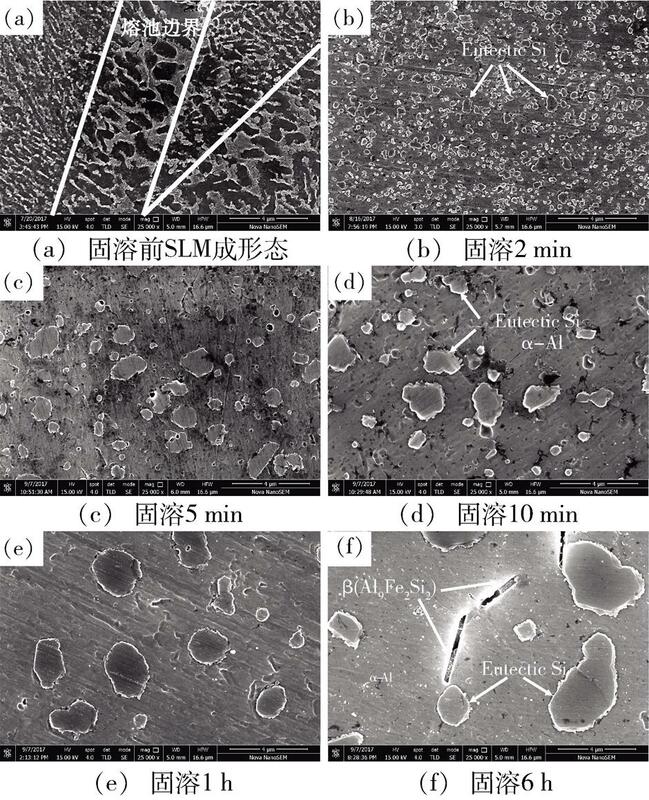 Fine-structured aluminium products with controllable texture by selective laser melting of pre-alloyed AlSi10Mg powder[J]. Acta Materialia, 2013, 61(5):1809-1819. BRANDLE, HECKENBERGERU, HOLZINGERV, et al. Additive manufactured AlSi10Mg samples using selective laser Melting (SLM): microstructure, high cycle fatigue, and fracture behavior[J]. Materials & Design, 2012, 34:159-169. ROSENTHALL,STEMA,FRAGEN. Laser beam additive manufacturing (AM) technology[J]. Metallography Microstructure & Analysis, 2014, 3(6):448-453. LIW, LIS, LIUJ, et al. Effect of heat treatment on AlSi10Mg alloy fabricated by selective laser melting: Microstructure evolution, mechanical properties and fracture mechanism[J]. Materials Science & Engineering A, 2016, 663:116-125. GODINOM. MARTINEZ. M G. PFC: AlSi10Mg parts produced by Selective Laser Melting (SLM)[D]. Universidad Carlos Ⅲ de Madrid, 2013. MERTENSA, DEDRYO, REUTERD, et al. Thermal treatments of AlSi10Mg processed by laser beam melting[C]// International Solid Freeform Fabrication Symposium, 2015,1107-1116. ABOULKHAIRN T, TUCKC, ASHCROFTI, et al. On the precipitation hardening of selective laser melted AlSi10Mg[J]. Metallurgical & Materials Transactions A, 2015, 46(8):3337-3341. 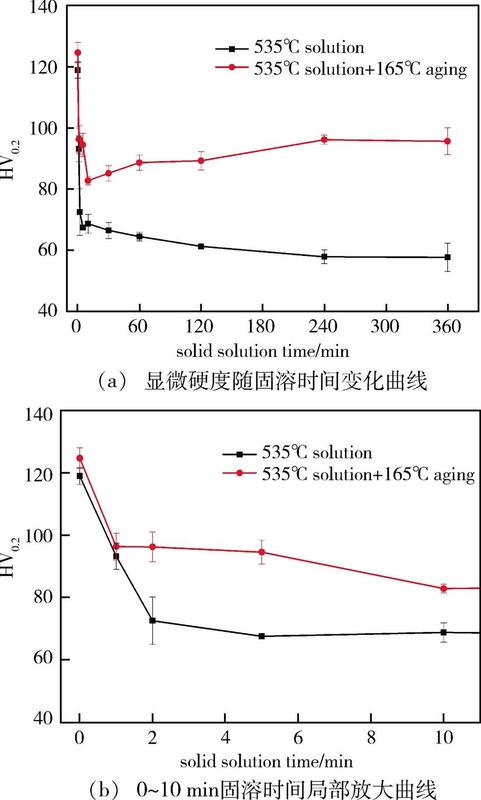 The present paper investigated the influence of different solid solution time on the microstructure and micro-hardness of selective laser melting produced AlSi10Mg alloy at 535℃ solid solution temperature by using SEM, EDS and micro-hardness tester. The results showed that the microstructures of AlSi10Mg composed of nano-sized network Al-Si eutectic and the supersaturated α-Al solid solution are very sensitive to solid solution time at 535℃ solid solution temperature.After 2min of solid solution, the boundary of the molten bath and the nano-size network eutectic structure disappeared.After 5min of solid solution, the eutectic Si was obviously spherical， the size of eutectic Si increased with the prolongation of the solid solution time. With the change of microstructure, the micro-hardness of AlSi10Mg is rapidly reduced from (119±3.2)HV0.2for as-built SLM specimens before the solid solution, and with the prolongation of the solid solution time, the micro-hardness eventually stabilizes at about 57HV0.2. THIJS L, KEMPEN K, KRUTH J P, et al. Fine-structured aluminium products with controllable texture by selective laser melting of pre-alloyed AlSi10Mg powder[J]. Acta Materialia, 2013, 61(5):1809-1819. BRANDL E, HECKENBERGER U, HOLZINGER V, et al. Additive manufactured AlSi10Mg samples using selective laser Melting (SLM): microstructure, high cycle fatigue, and fracture behavior[J]. Materials & Design, 2012, 34:159-169. ROSENTHAL L,STEM A,FRAGE N. Laser beam additive manufacturing (AM) technology[J]. Metallography Microstructure & Analysis, 2014, 3(6):448-453. LI W, LI S, LIU J, et al. Effect of heat treatment on AlSi10Mg alloy fabricated by selective laser melting: Microstructure evolution, mechanical properties and fracture mechanism[J]. Materials Science & Engineering A, 2016, 663:116-125. GODINO M. MARTINEZ. M G. PFC: AlSi10Mg parts produced by Selective Laser Melting (SLM)[D]. Universidad Carlos Ⅲ de Madrid, 2013. MERTENS A, DEDRY O, REUTER D, et al. Thermal treatments of AlSi10Mg processed by laser beam melting[C]// International Solid Freeform Fabrication Symposium, 2015,1107-1116. ABOULKHAIR N T, TUCK C, ASHCROFT I, et al. On the precipitation hardening of selective laser melted AlSi10Mg[J]. Metallurgical & Materials Transactions A, 2015, 46(8):3337-3341. 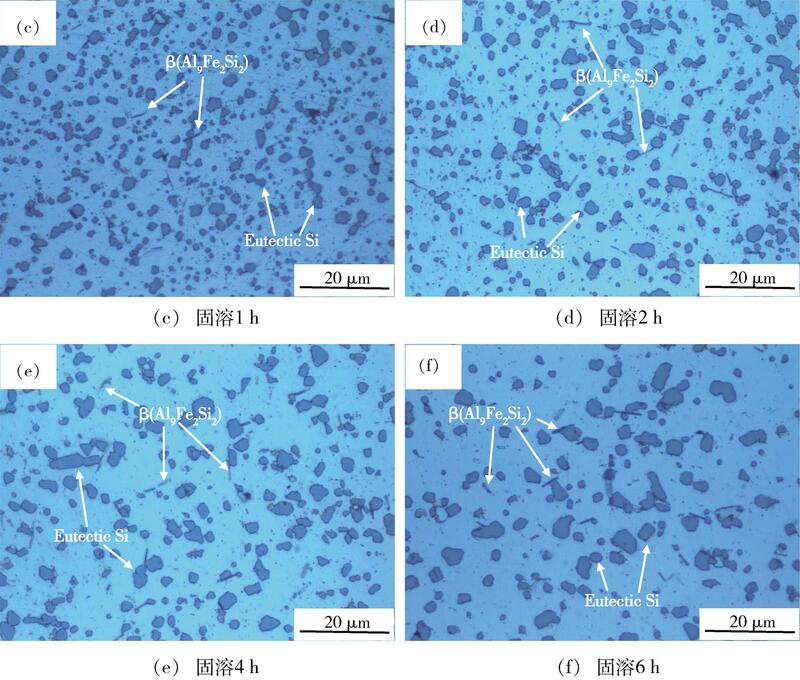 SHA Chunsheng,LIU Haiying,WANG Lianfeng,et al.Effect of Solid Solution Time on Microstructure and Micro-Hardness of AlSi10Mg Alloy Fabricated by Selective Laser MeltingAlSi10MgAlloyFabricatedbySelectiveLaserMelting[J].Aerospace Materials & Technology,2019,49(02):54-58.